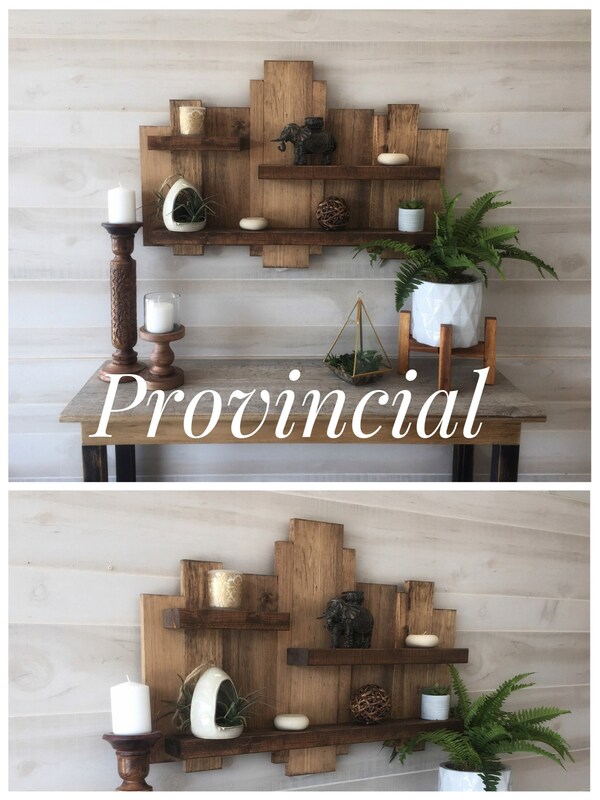 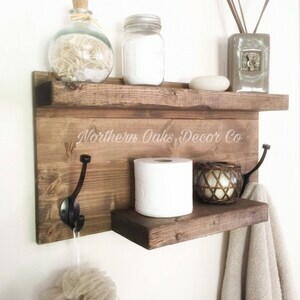 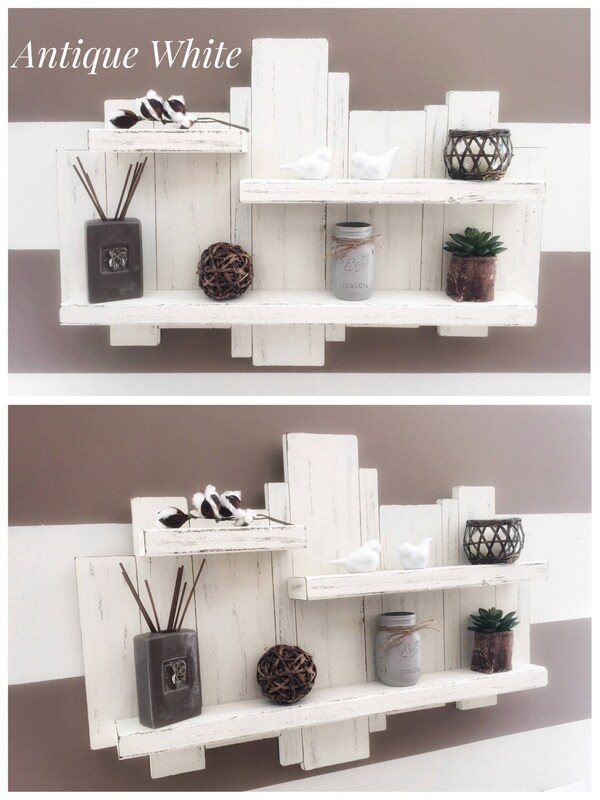 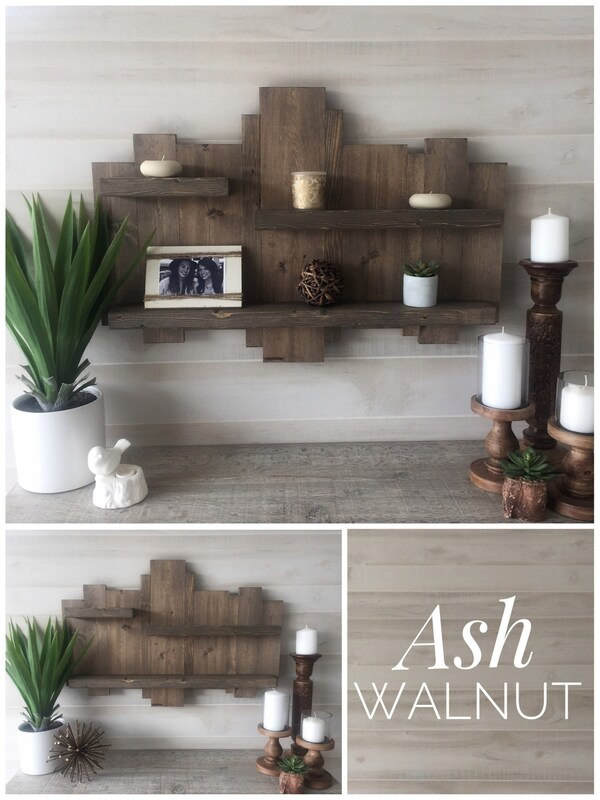 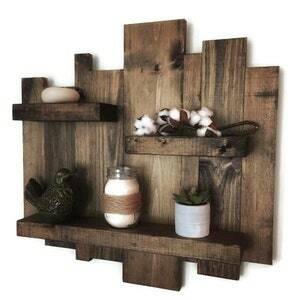 This is a hand made, rustic floating shelf. 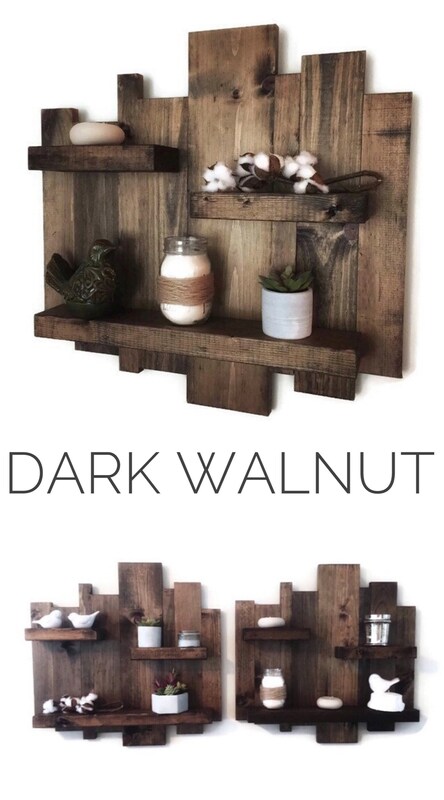 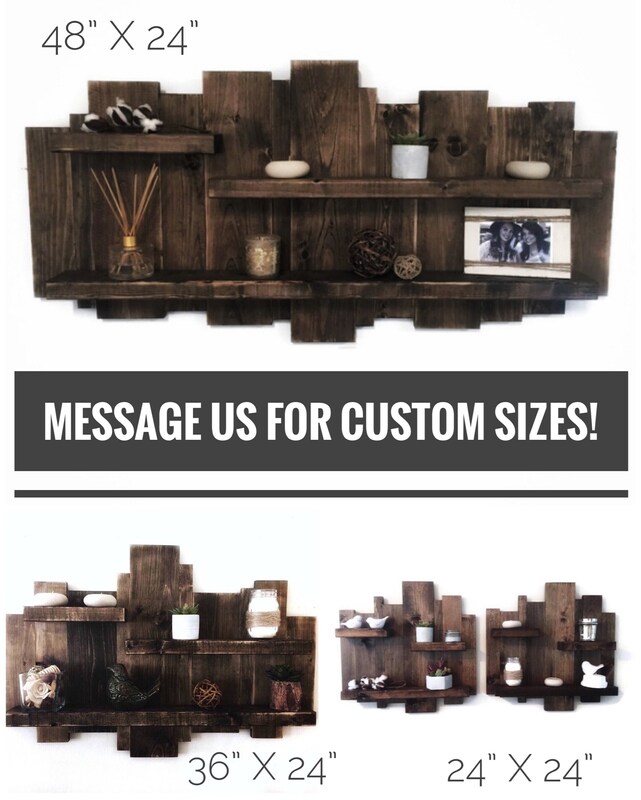 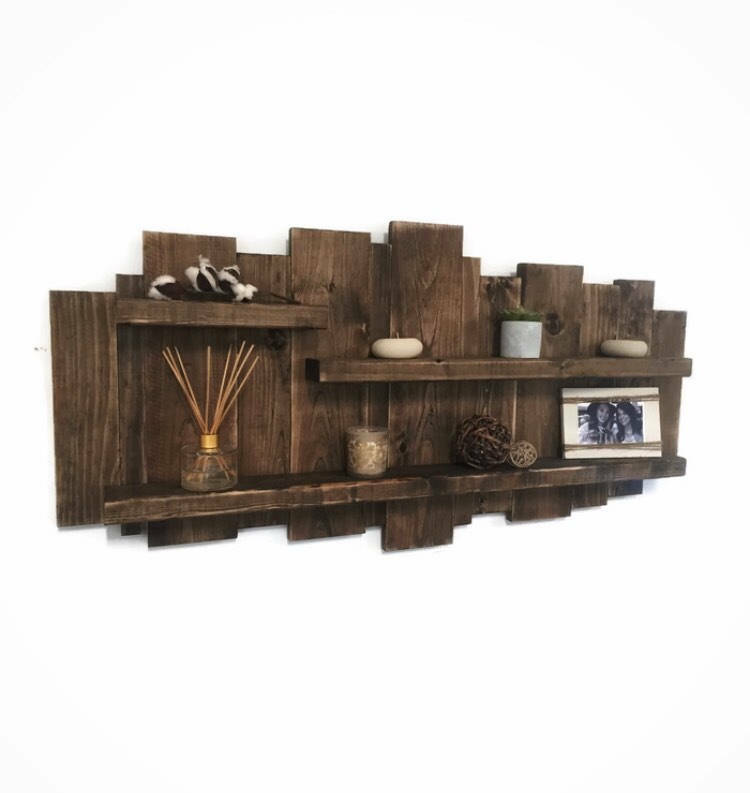 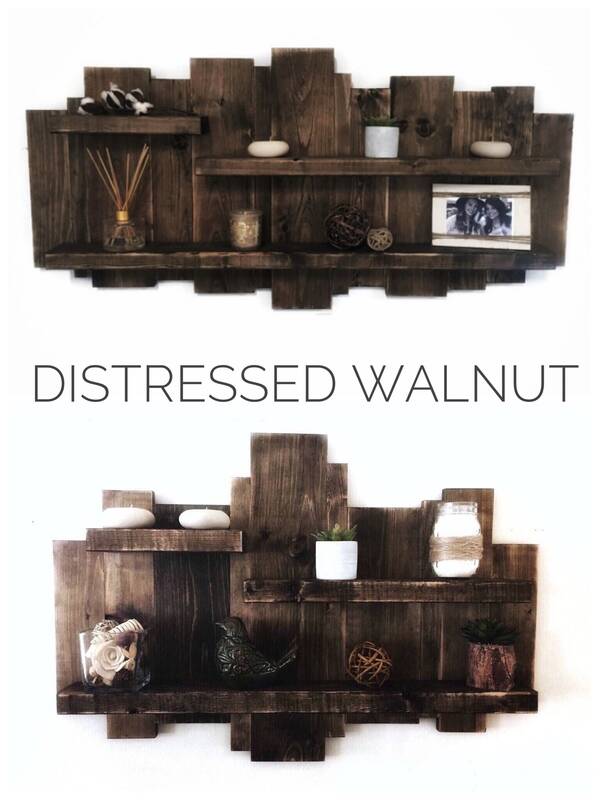 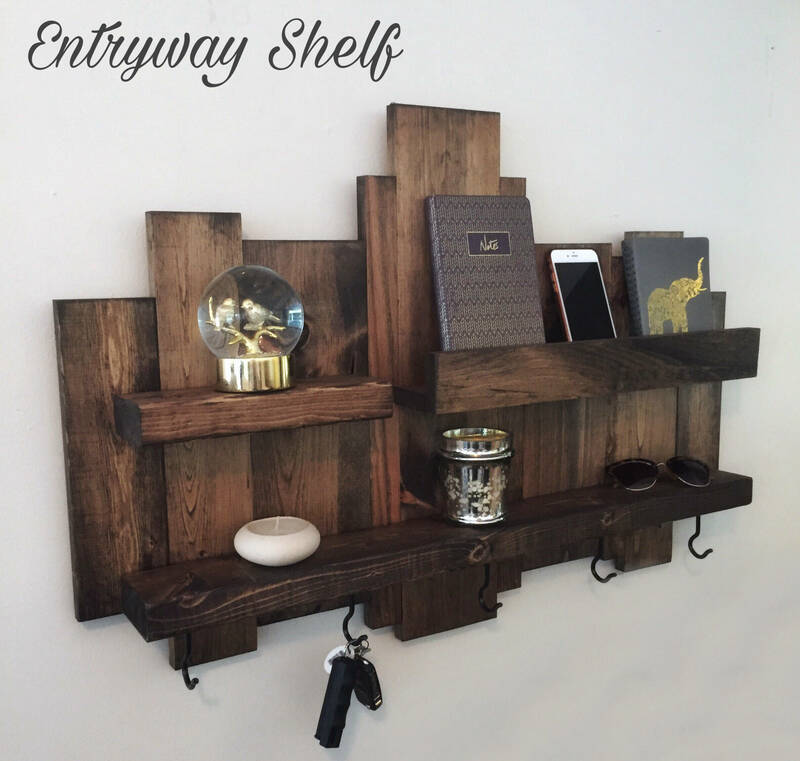 It is made from locally sourced wood and finished in dark walnut stain. 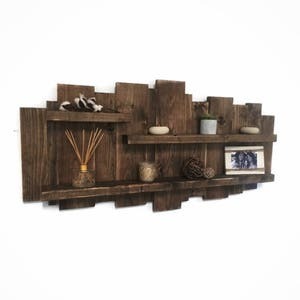 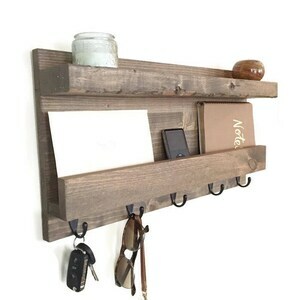 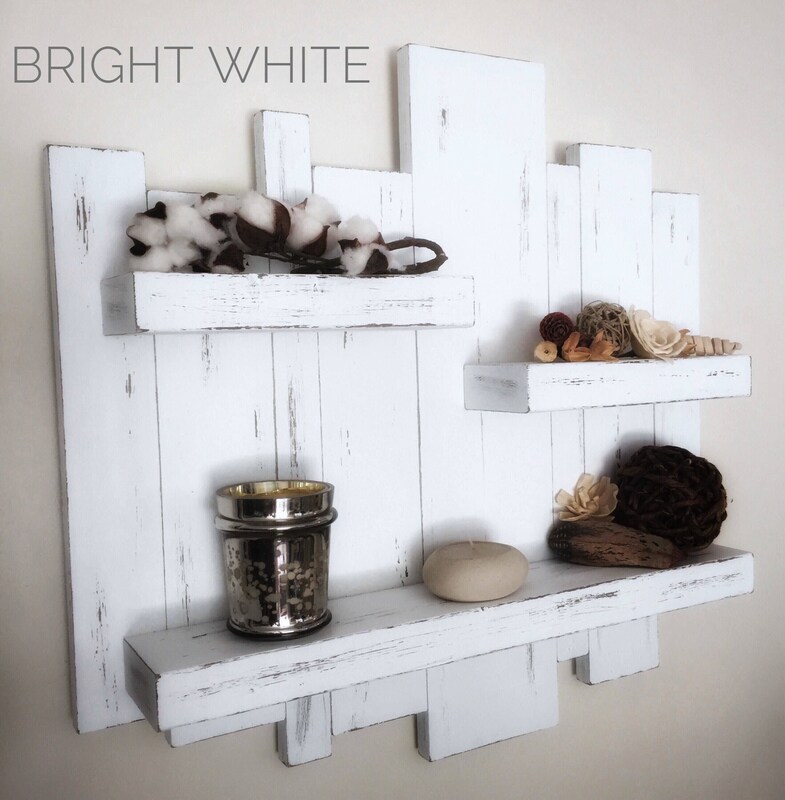 It offers the perfect touch of rustic charm to any space.